Weddle was the first Wellesley participant in the Huffington Post’s new blog, College Thesis Project, which seeks to share the extraordinary work of college seniors with a broader audience. Wellesley is one of a handful of partner institutions to participate in the inaugural stage of the project. A double-major in art history and music, Weddle describes the path to her senior thesis project in the post. Her project was shaped by her experiences on campus and abroad, and supported by her professors as well as her friends and classmates. 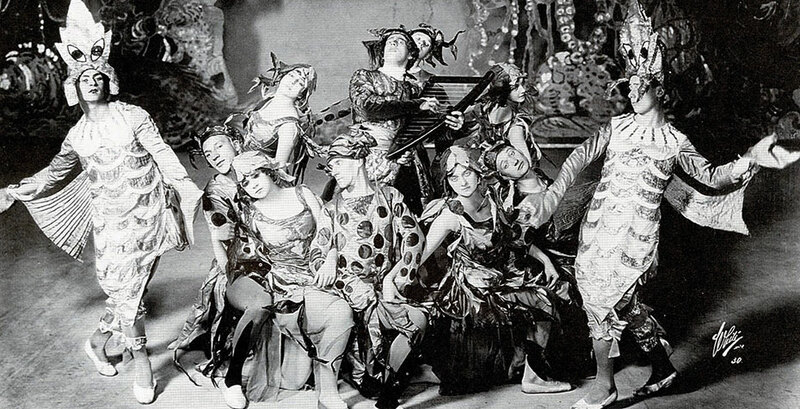 She became interested in the Ballets Russes, the Paris-based ballet troupe that captivated the world of intellectuals and artists in the early part of the 20th century. Famous figures associated with the troupe include fashion designer Coco Chanel, artist Pablo Picasso, and composer Maurice Ravel. The involvement of these elites was often facilitated by female patrons such as Misia Sert and Winnaretta Singer, the Princess of Polignac, yet Weddle discovered that the crucial role played by these patrons was often neglected by art historians. She set to work to reclaim this overlooked part of history in her project. "What surprised me the most was how easy it was to stay motivated throughout the year," said Weddle of the experience. "There were some rough spots and writer's block at points, but I honestly sat down everyday excited to work on my thesis. I felt inspired by the women I was learning about, and each inadequate source I read that glossed over their lives just pushed me to delve into my research more. I still want to pursue this topic, even though my thesis has been turned in for a few weeks. Women have been behind many important movements throughout history. My thesis just touched upon a few instances in four women's lives. There is so much more work to be done, and it amazes me that after a year I still have so much to learn." You can hear Weddle's Ruhlman Conference presentation about her work on iTunesU. Taking a cue from the Huffington Post’s project, The Daily Shot will continue its own series to feature theses and other projects by Wellesley seniors, exemplifying (just a portion of) the range, creativity, and scholarship of the class of 2014.